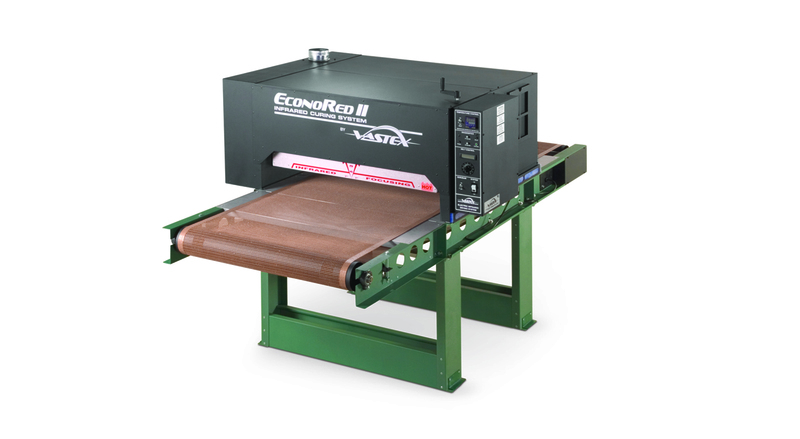 "Compact Production Infrared Conveyor Dryer "
EconoRed-I compact production dryers are the best choice for small- to medium-sized shops that need to cure/dry a maximum of 190 or 380* pieces/hr/chamber of textiles screen printed with plastisol, water-based and discharge inks. 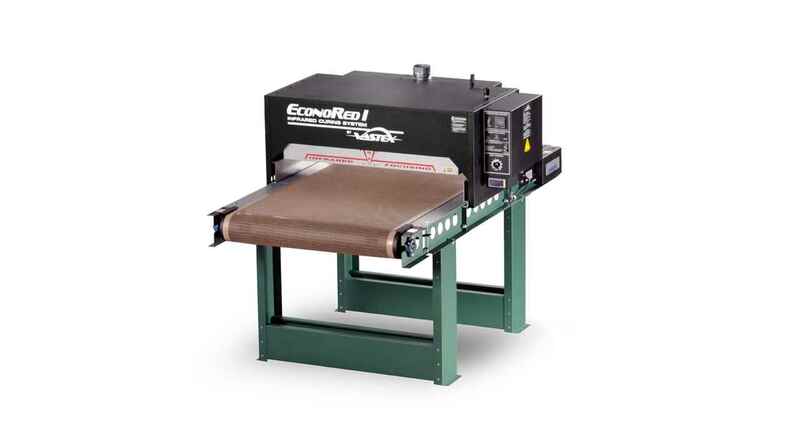 EconoRed I dryers are offered in two, 240V models, both with 66 in. 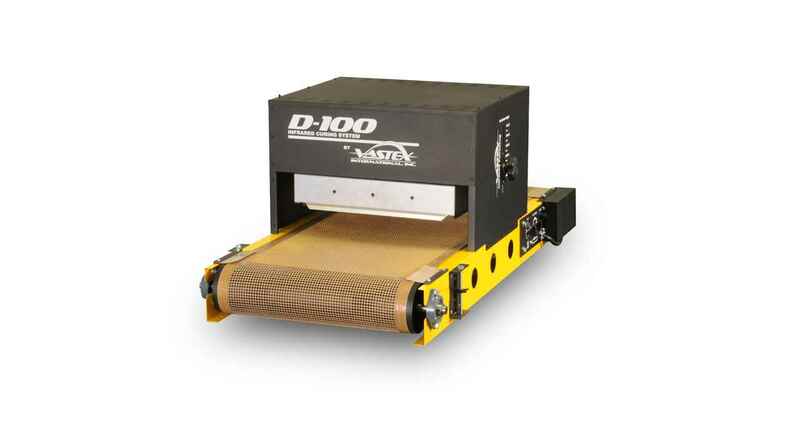 (167.6 cm) belt length, and major improvements as standard equipment for 2013. 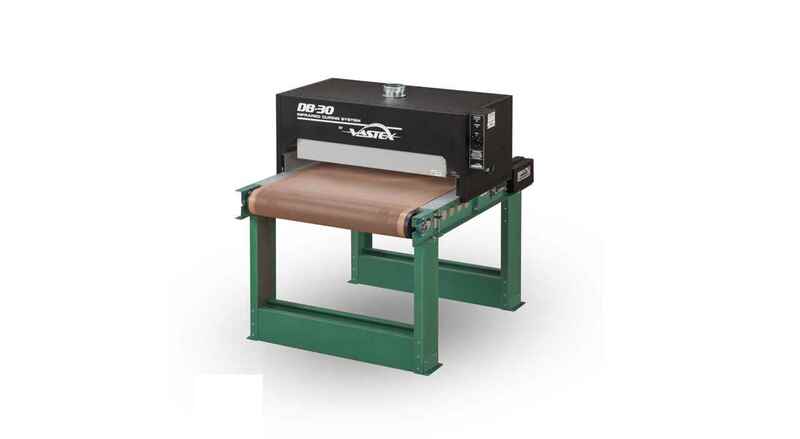 First is an EconoRed I 30 with a 30 in. 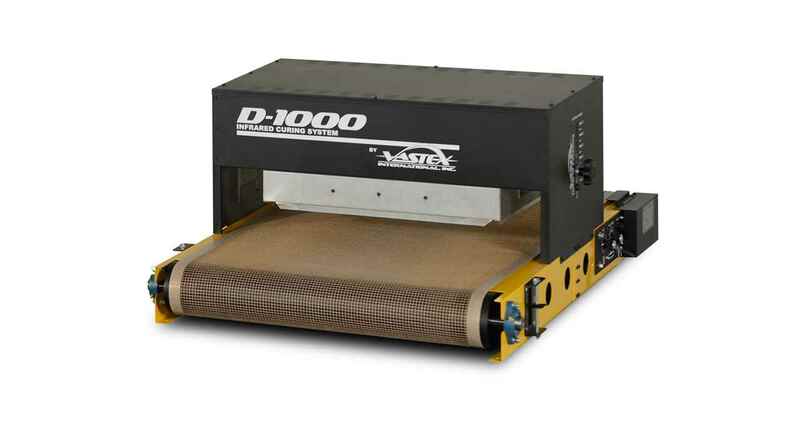 (76.2 cm) wide belt and new 4300 watt heater (up from 3500 watts) capable of curing 190+ pieces per hour per chamber. Second is an EconoRed I 54 with a 54 in. 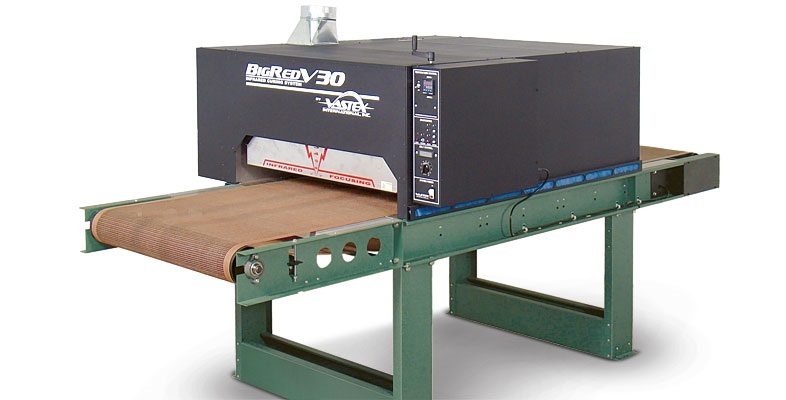 (137 cm) wide belt and two new 4300 watt heaters (total 8600 watts — up from 7000 watts) capable of curing 380+ pieces per hour per chamber. 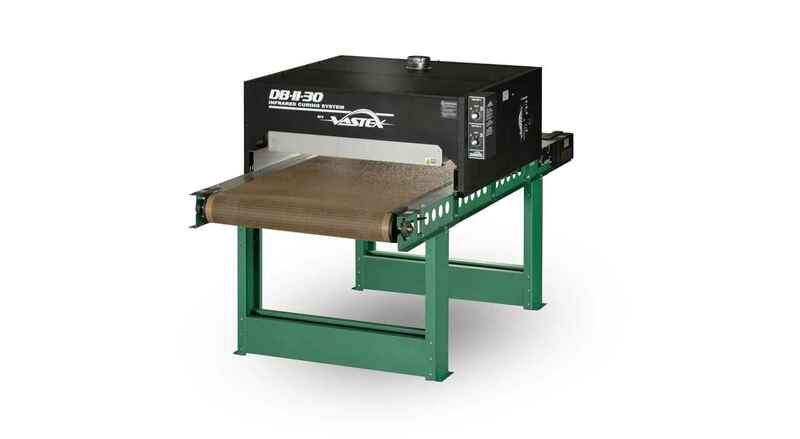 For 2013, all EconoRed I dryers are also equipped with an Exhaust System that cools the outer cabinet while evacuating moisture and fumes; and a Digital Readout that displays DC volts, allowing you to accurately repeat or fine-tune drying results at any future time.